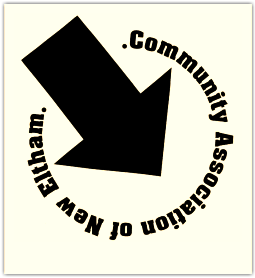 New Eltham Organisers Diary - C.A.N.E. - Sunday September 9th Tea Dance C.A.N.E. Tuesday September 11th Afternoon Quiz C.A.N.E. Sunday October 7th Tea Dance C.A.N.E. Saturday October 13th Quiz Evening C.A.N.E. Saturday October 20th Neil Duncan - entertainer C.A.N.E. Saturday October 27th Craft Fair C.A.N.E. Sunday November 11th PSA Remembrance Concert N.E.M.C. Saturday November 17th Christmas Bazaar N.E.M.C. Monday November 19th Afternoon Quiz C.A.N.E. Sunday November 25th Greenwich Big Band C.A.N.E. Sunday December 2nd Tea Dance C.A.N.E. Saturday December 8th Evening Quiz C.A.N.E. January 5th, 11th & 12th 2019 "Aladdin" Pantomime N.E.M.C. N.E.M.C. (New Eltham Methodist Centre).